So when I last left you, I promised to tell you about Blue Ribbon Drive. For those who don’t know the area too well, it’s the street that bisects Winterplace Park (where the WCF is held) from north to south. But over the weekend it was a pedestrian mall of sorts. Looking north along Blue Ribbon Drive. It was a clever usage of the street so the path these vendors were on wouldn’t be muddy. Now I’m looking south. 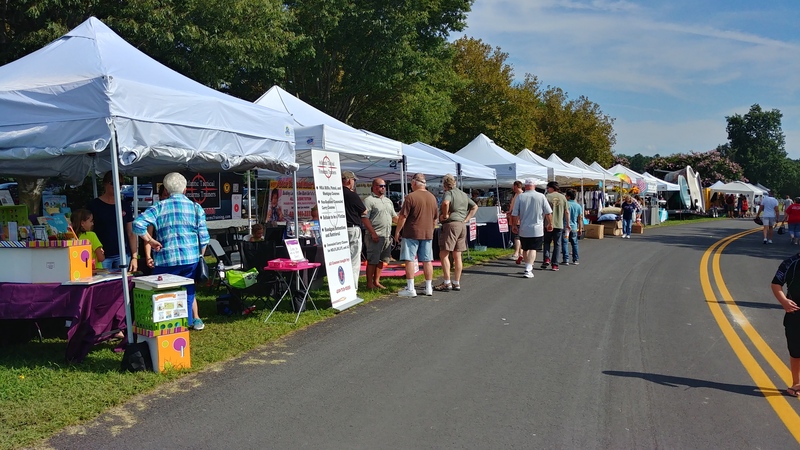 One of my favorite vendors (insofar as tweaking the Left is concerned) is second one in – the Atlantic Tactical Firearms Trainers tent. 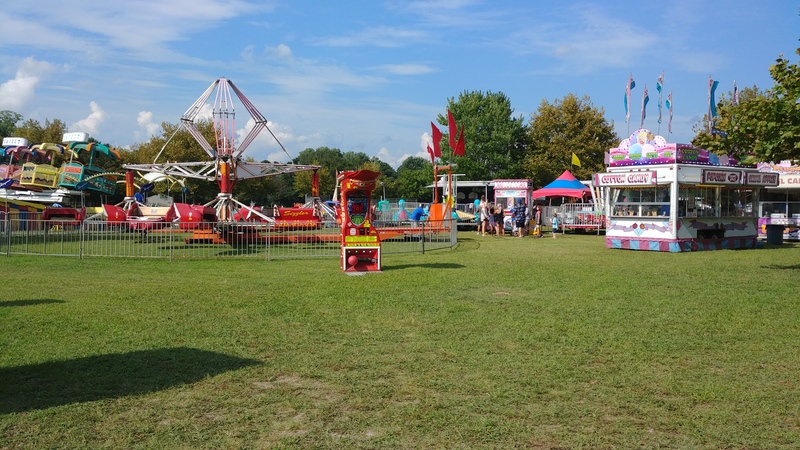 The only people who may have been disappointed with the setup were the people who ran the rides, but they were actually closer to the action this year even being across the street. I don’t do rides, but I’m sure the kids wore them out. Nestled toward the south end of this road were my erstwhile colleagues at the Wicomico County Republican Party. Ellen Bethel was one of many GOP volunteers – I saw Mary Beth Carozza there for the second time this weekend, after catching her coming in as we were heading out Friday evening too. That woman is everywhere. My old friend Bill Reddish, meanwhile, was manning Andy Harris’s space. 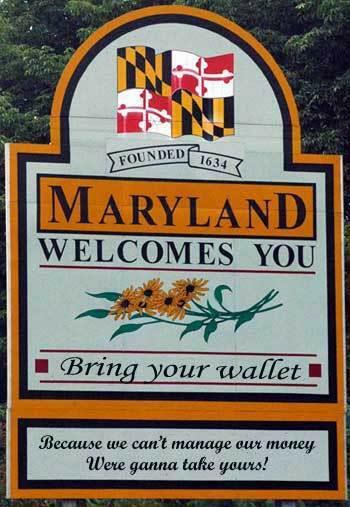 I heard there was a lot of angst on the Mathias side about this sign. 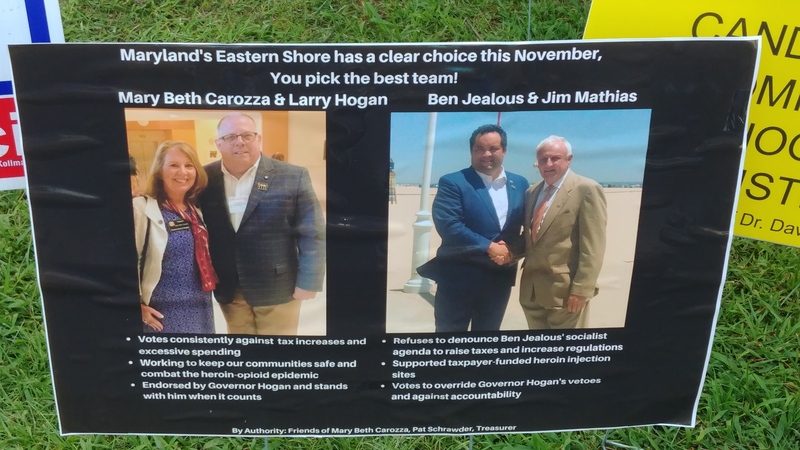 Notice how he’s trying to get closer to Larry Hogan these days? Sorry, Jim, but your voting record is very Jealous-like. Birds of a feather and all that. I noticed on social media that the Governor made his rounds Saturday before we arrived. This actually did us a little bit of a favor as it turned out. While I have another point to make in the meantime, don’t worry – I won’t forget to close that loop. Moving the vendors and the rides left a nice space. I guess you could call it a beer garden but it served as food court and musical entertainment center. 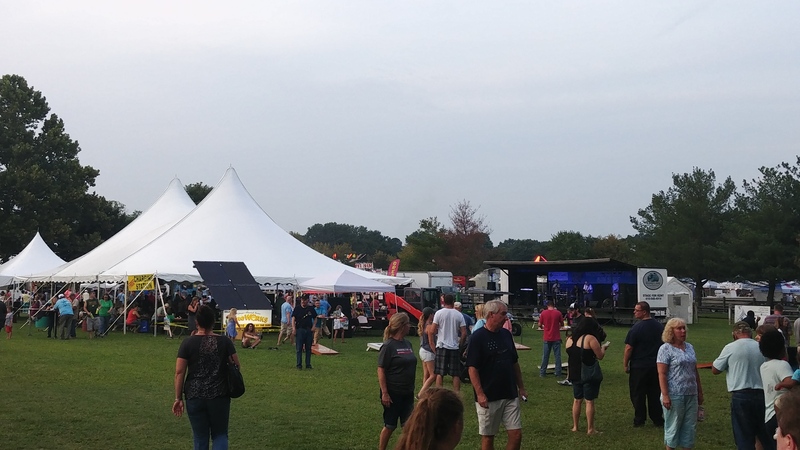 I’m looking from the west end of the shady main lane toward the stage in this shot that was taken Friday evening. 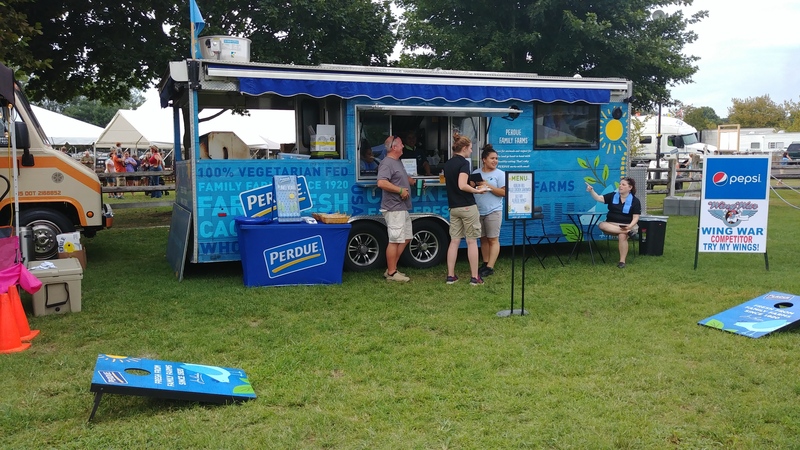 Perdue was all over this event, as you may expect. Unfortunately, a Korean BBQ chicken sandwich or Old Bay Alfredo wings didn’t sound too good to me. Hope that wasn’t their Wing War entry. So it was an unusual place for this tent. 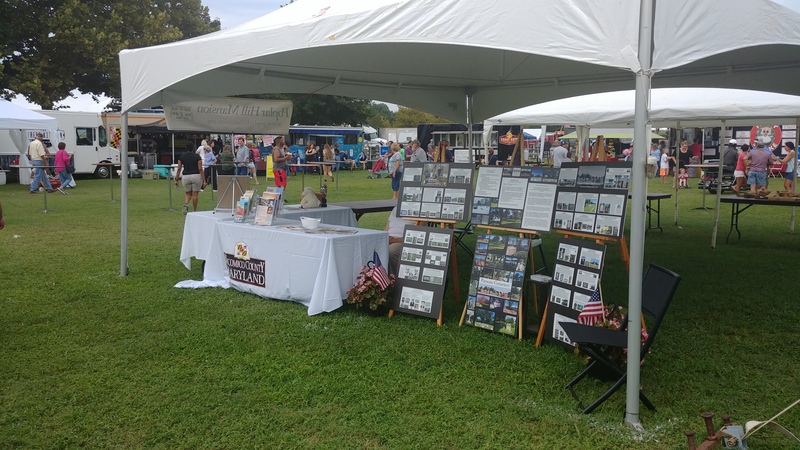 The Wicomico County tourism tent. I guess it was too big to just put along the road – or they wanted the captive audience? 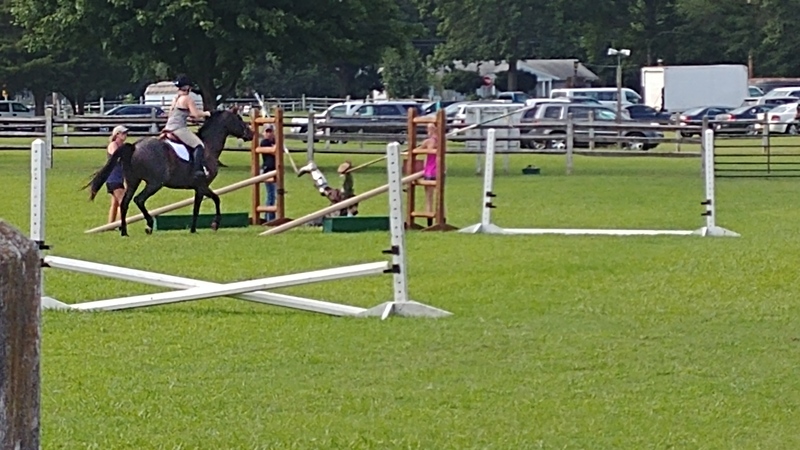 Speaking of unusual, look closely at this equestrian photo. I’m probably glad I didn’t catch this guy’s act. It’s called The Jump of Death with Sir Barchan of Renaissance Stables. 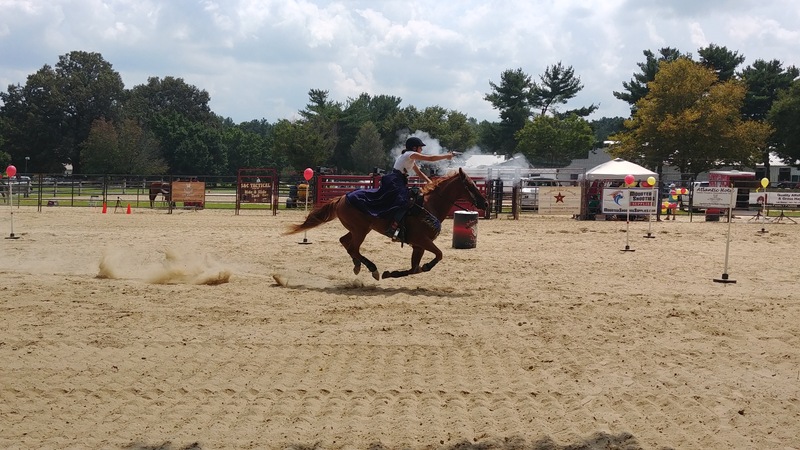 We spent a lot of time this weekend, though, watching my wife’s favorite equestrian event: the Mason Dixon Deputies mounted shooting. The perfect photo. I finally figured out how to get good motion shots using the “Burst” function on my cell phone camera. It made for some great action photos since old, slow me can’t outwit a 1/10 second snap if I hold halfway still. Now you see ’em, now you don’t. But you never hear the balloon pop over the sound of the revolver firing. The red one on the left? My wife loved the late (yes, it was extra, she already got stuff) birthday present. Now my wife and stepdaughter can coordinate – one has the red version and the other black. 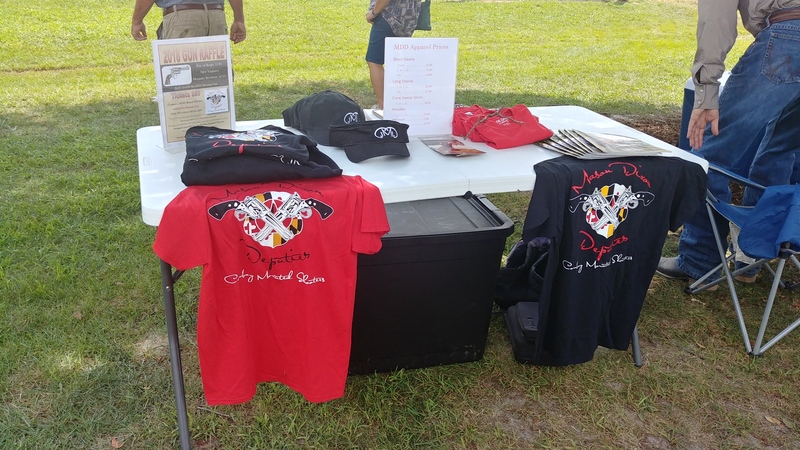 It’s been a really good fit for the Wicomico County Fair since they brought the Mason Dixon Deputies in three years ago – the four-stage event takes up three to four hours. In this case they went Saturday evening and Sunday afternoon – the former, in particular, packed the bleachers so I’d say 300 to 400 were watching. 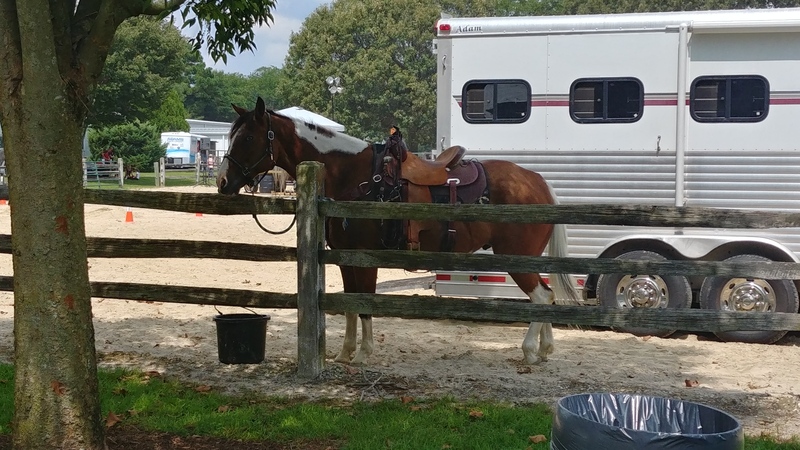 In between runs, the riders made sure their horses got plenty of water and (especially) shade. The daytime hours were fit for neither man nor beast at times thanks to the humidity. 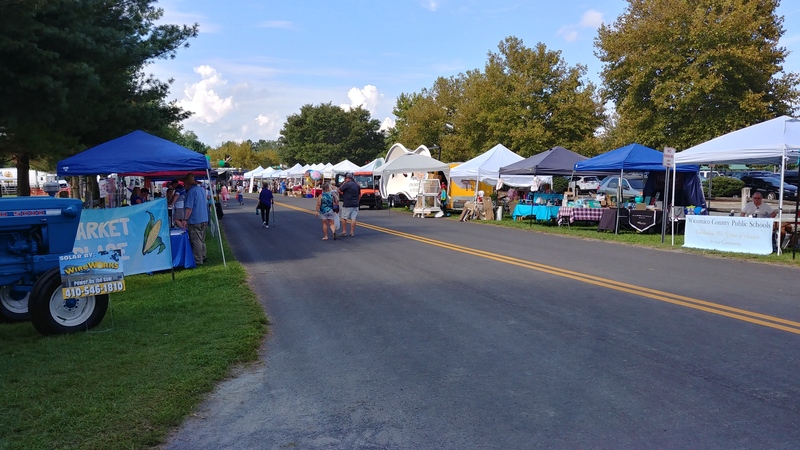 Besides the Mason Dixon Deputies and checking our photo entries, there is one other thing at the fair which is a must-do for us. My wife has known Pastor Oren Perdue for years, ever since her daughter began going to the Salisbury Baptist Temple summer camp (the one with the weekly rodeo) as a six-year-old. (This summer she finally aged out after thirteen summers.) So over the last three years we’ve played hooky from our church to listen to Perdue’s much more impromptu service. Pastor Oren Perdue, founder and pastor emeritus of Salisbury Baptist Temple. For the last three years, he’s been delivering a church service at the WCF. Photo by Kimberley Corkran. Definitely not the most formal church setting, and probably not a tent revival either. But we still had music. Photo by Kimberley Corkran. 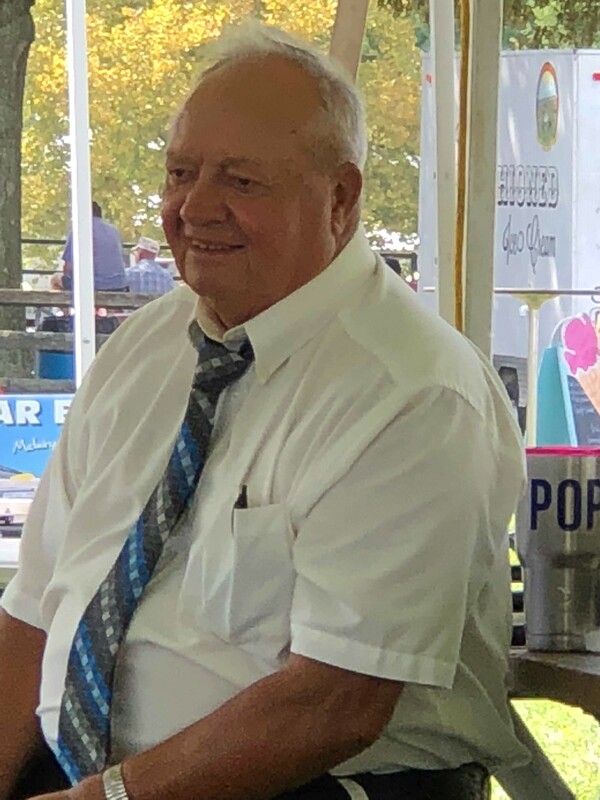 If I had a bone to pick with this year’s fair – which was otherwise the best in the three years under the current format – it would be that either the church service needs to allowed to begin at 10 a.m. or the rest of the events go off at noon. 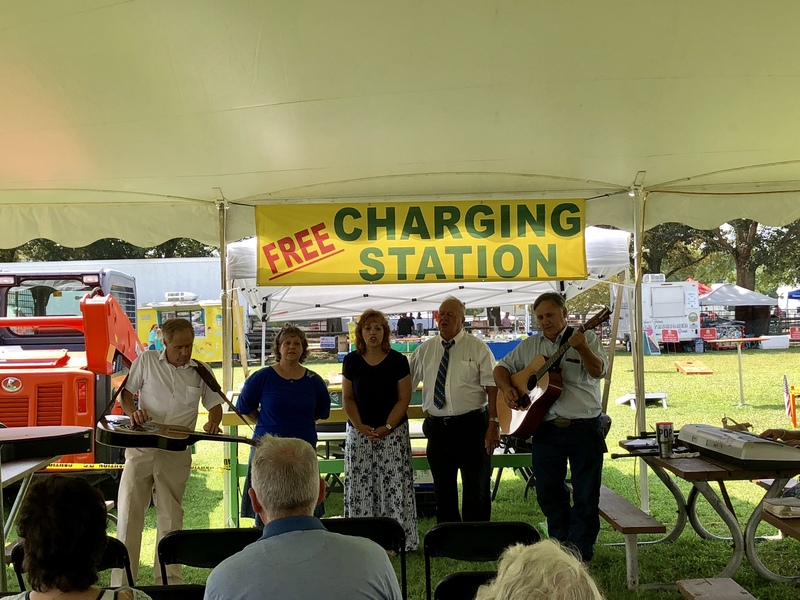 I understand the desire for something like the Mason Dixon Deputies to want to get an earlier start and avoid the heat of the day for the sake of the horses, but that and a church service really don’t work and play well together. 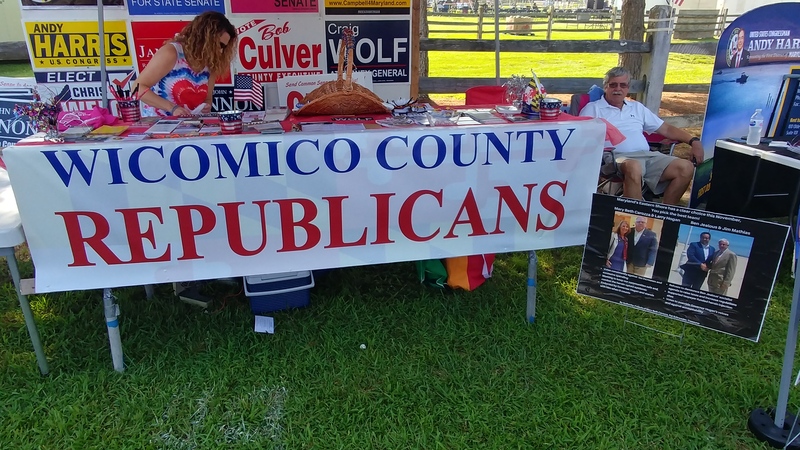 But I think I have the 2018 Wicomico County Fair pretty well covered – Lord knows I spent enough time there to get the flavor of it. They even had a reminder of the next item on the docket. 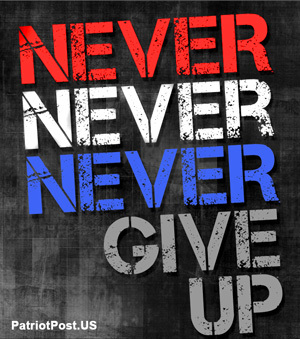 Just hope the weather cooperates for that one. 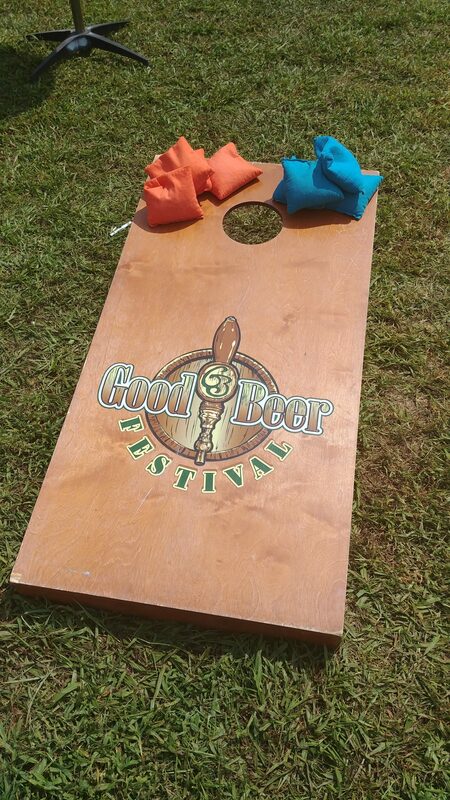 The GBF is my favorite local event, but the Fair gained a lot of ground this time around.